In business since the '30s and with one of the finest neon signs in the entire Los Angeles region, the Frolic Room remains what it's always been: a straightforward, friendly little room in which to get loaded with others of a similar mindset, a neighborhood hangout in a neighborhood without many of them, and a bar not for dilettantes but drinkers. 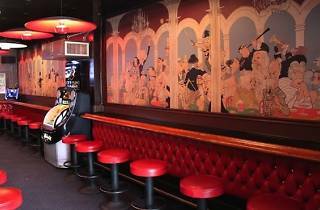 Look out for the beautiful Al Hirschfeld cartoon mural on the back wall. I froliced in by pure luck, an Indiana woman visiting Hollywood for 1st time in 2016. It was during the day & the patrons there were like old friends after I had a seat at the bar, I was told of some history & introduced to the wall, I had a great visit & not a name dropper but sure I met a legend & a funny man who I knew immediately but liked the vibe because I was just as interesting to them as they were to me. Wish I could have hung out a bit because site seeing isn't my thing. Cool Place & good to meet you folks, great Bartender too. My son was with me & he's not a drinker so I was by myself but he would walk in to check on me in the hour & half I was there, felt at ease in this Frolic Room for sure. This place has been around forever. It's the definition of hole in the wall bar, as I'm sure some of the other reviews mention. Definitely a dive bar in its truest sense and a place with bartenders and locals who probably have interesting stories to share - certainly some characters here. Not a place that I would frequent as the crowd is definitely a bit rough sometimes and it isn't anything too inviting. But it is absolutely worth a stop one night if you want to take in some older hollywood vibes and get a bit down and dirty with some locals. 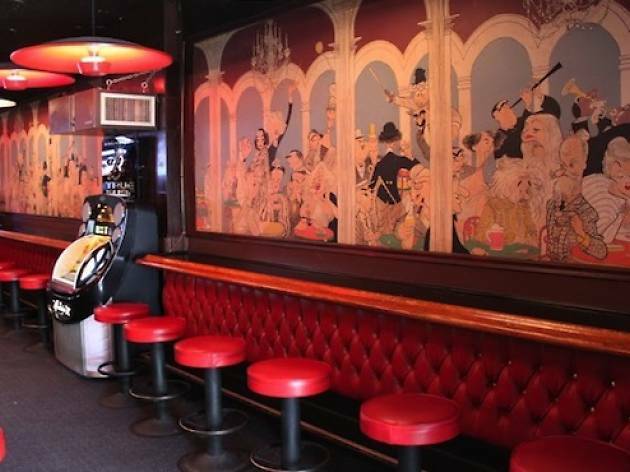 This is a tiny little hole in the wall bar, but it's worth a stop in for sure. The frolic room is right next to the Pantages which means it gets crowded right before the show and a little during intermission. But outside of those times, it feels like a local bar! Drinks are super well priced and service is quick. It's the worst bar in Hollywood the doorman cussing around with old men yelling, a watch man push female in the meanist way.